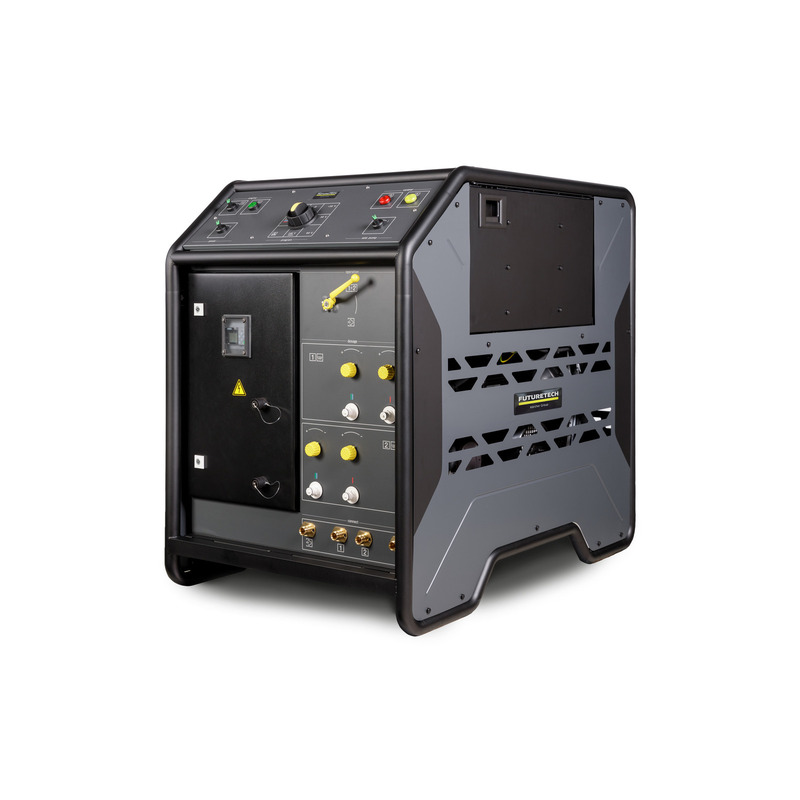 MPDS 2 17041400 https://www.kaercher.com/en/products/mobile-cbrn-decontamination/decontamination-components/hot-water-pressure-washers/mpds-2-17041400.html The MPDS 2 is a diesel driven multi-purpose unit for a great variety of decontamination jobs. It can be used with up to three lances at the same time, enabling pre-treatment, main treatment and post-treatment to be performed simultaneously with a single unit. The MPDS 2 is a diesel driven multi-purpose unit for a great variety of decontamination jobs. It can be used with up to three lances at the same time, enabling pre-treatment, main treatment and post-treatment to be performed simultaneously with a single unit. 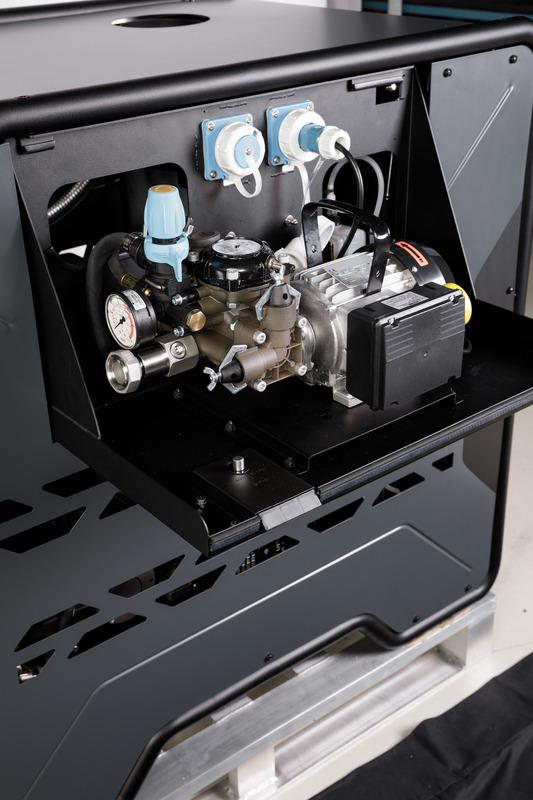 With a capacity of 1500 litres an hour and a pressure of up to 110 bar, the modular, diesel driven MPDS 2 is a multi-purpose unit for cleaning and decontamination. As well as cold water, it can also produce hot water up to 80 °C and superheated steam up to 140 °C. 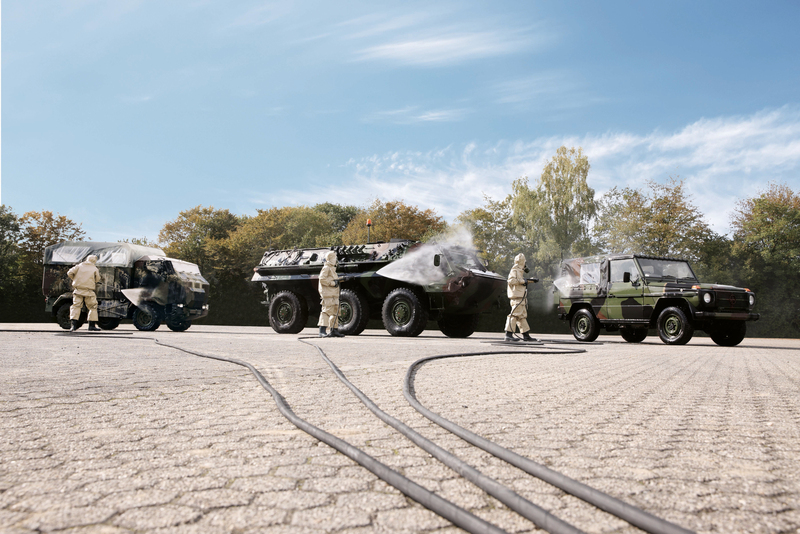 In the standard version, a great variety of cleaning and decontamination jobs can be performed in simultaneous, dual-lance mode. 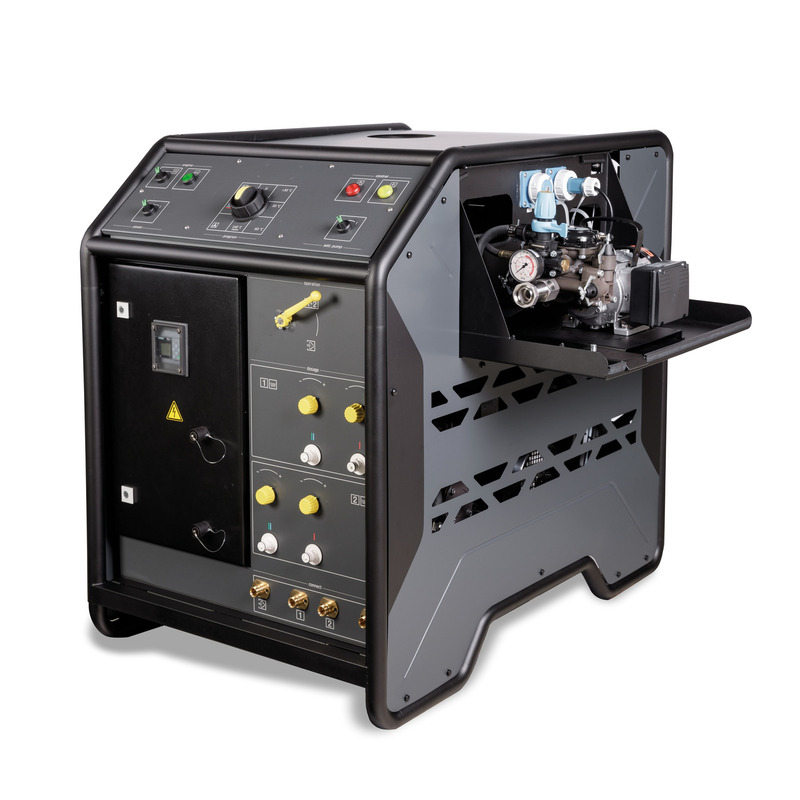 By integrating two dual injectors, the unit can work with numerous commercially available decontamination and cleaning agents, and therefore clean or decontaminate a vast range of different materials. The unit can also be equipped to work with three lances. This enables simultaneous pre-treatment, main treatment and post-treatment using virtually any kind of commercially available decontamination and cleaning agents. An integrated power generator, an optional pump for non-aqueous chemicals, and the two-component dosing unit transform the MPDS 2 into an autonomous, stand-alone decontamination system. The innovative and clear layout of the user interface enables fast and intuitive operation. Easy transport is guaranteed by the unit’s compact and robust design in a stackable tubular frame based on the dimensions of a euro pallet compatible. The MPDS 2 is the smallest and most efficient decontamination unit in its class.